USTV Chat - Bonding debuts on Netflix. Cobra Kai returns on Youtube. PostUSTV Chat - Bonding debuts on Netflix. Cobra Kai returns on Youtube. Welcome to USTV Chat. 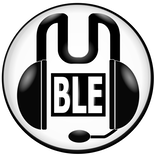 I update this thread almost every day so it'll be a one-stop shop for all the info you need. If you wish to start a thread about one particular USTV show then I encourage you to do so. Please check the list below to see if one has already been started. Please post in the thread and/or pm me if I've missed anything out or if you have a suggestion. I won't be pm'ing links as per new rules. Gentleman Jack S01E01, Mondays in the US. Set in 1832 West Yorkshire, England, Gentleman Jack is inspired by the true-story and coded journals of Anne Lister (played by Suranne Jones), and follows her attempt to revitalize her inherited home, Shibdhen Hall. Most notably for the time period, a part of Lister’s plan is to help the fate of her own family by taking a wife. 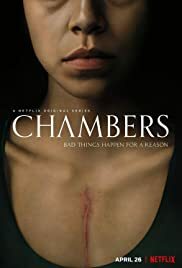 Chambers, Season One, Friday 26th April. All episodes that day on Netflix UK. Bonding, Season One, Wednesday 24th April. All episodes that day on Netflix UK. Bonding centers on the relationship between former high-school BFFs, Pete, a recently out gay man, and Tiff, a grad student and secretly one of New York City’s top dominatrixes, who reconnect in an unexpected way years later. The dark comedy is loosely based on the life experiences of Rightor Doyle (Barry, You’re the Worst, Nerve), who serves as writer, director, showrunner, and executive producer. The Son 27th April (New) - Final Season. Monday - Season finale of Madam Secretary. Wednesday - Season finale of Roswell New Mexico. Friday - Series finale of Gotham. Season finales of The Orville & Supernatural. What shows are on tonight? When are the shows usually available? Monday - Game of Thrones, Killing Eve, Veep, Barry, Last Week Tonight with John Oliver, Into the Badlands, American Gods, Supergirl, Charmed, Madam Secretary, The Chi, Billions, Good Girls. Tuesday - Legends of Tomorrow, Gentleman Jack, The Twilight Zone, Arrow, 9-1-1, The Resident, Bull, Knightfall, The Enemy Within, The Fix, Shadowhunters, American Dad!, Man with a Plan, The Neighbourhood. Wednesday - Bonding, Cobra Kai, The Flash, Bless This Mess, Roswell: New Mexico, The Village, Miracle Workers, NCIS: NO, The Code, Fosse/Verdon, FBI, New Amsterdam, blackish. Thursday - Survivor: Edge of Extinction, Riverdale, Documentary Now, What We Do In The Shadows, Jane the Virgin, Happy!, Seal Team, The Act, Pretty Little Liars: The Perfectionists, Whiskey Cavalier, Weird City, Dating Around, Schooled, Single Parents, The Goldbergs, Chicago P.D., Chicago Med, Chicago Fire. Friday - Chambers, The Good Fight, The Orville, Brooklyn Nine-Nine, The Big Bang Theory, Life in Pieces, Gotham, In the Dark, Young Sheldon, S.W.A.T., Mom, Marvel’s Cloak & Dagger, Better Things, Abby's, Empire, Star, Station 19, For The People, Supernatural, A.P. Bio, Desus & Mero, Grey's Anatomy. Saturday - Warrior, The Tick, Blue Bloods, Dynasty, The Blacklist, Doom Patrol, Proven Innocent, Hawaii Five-0, MacGyver. Sunday - The Son, Patriot Act with Hasan Minhaj. When's my fave show back? iZombie 2nd May (New) - Final Season. Chernobyl 6th May (New) - 7th May on Sky Atlantic. Elementary 23rd May (New) - Final Season. Archer 29th May (New) - Final Season? The Handmaid’s Tale 5th June (New) - 3 episodes then weekly. Homeland late 2019 (New) - Final Season. Criminal Minds - Final Season. The Affair - Final Season. Last edited by Monkey Man on Wed Apr 24, 2019 8:52 am, edited 433 times in total. Good work.Glad Goliath is getting a 2nd reason and will be hoping that someone picks up Lucifer for a 4th season. Netflix needs to hurry the strawberry float up and #SaveLucifer. I would like the new Obama Netflix show to be him and Joe Biden in a Lethal Weapon style police buddy cop show. Last edited by Grumpy David on Sat May 26, 2018 12:02 pm, edited 1 time in total. The Expanse has been saved! Amazon has closed a deal to pick up the sci-fi drama series, which is in its third and final season on Syfy. The announcement was made tonight by Amazon’s boss himself, Jeff Bezos, at National Space Society’s International Space Development Conference in Los Angeles where he was an honoree. I would like the new Obama Netflix show to be him an Joe Biden in a Lethal Weapon style police buddy cop show. Battling the sinister kingpin of crime, The Don Trump. The Expanse is the best Science Fiction show on at the moment and as a huge Trek fan it shocks me that I'm saying that while a Trek show is also on. It's the best science fiction show since BSG. I wonder if they will now show season 3 in the UK or will we still have to wait for netflix to bother some time near Christmas. Yay!!! 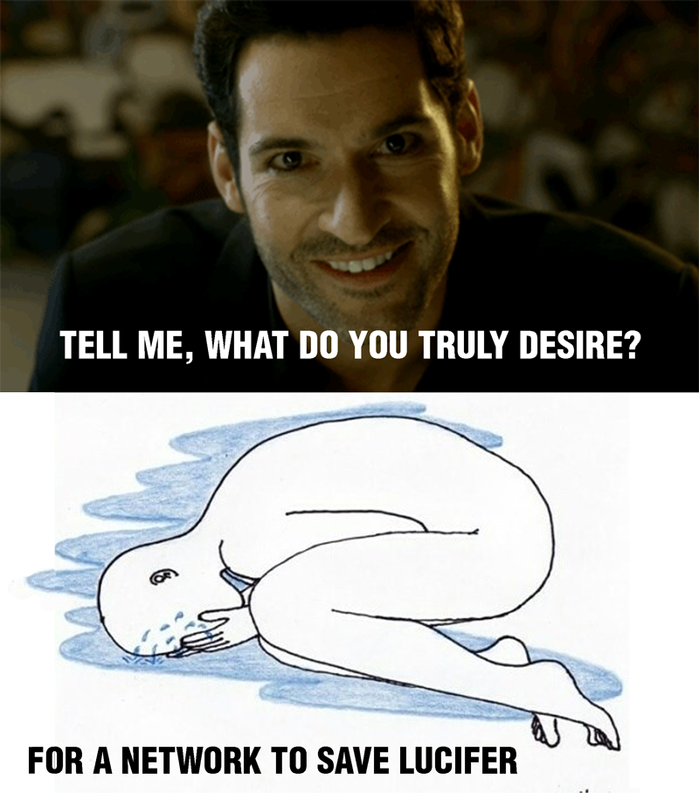 Now if they do that for Lucifer that would be awesome. I had never heard of the expanse, it sounds quite good. Who shows it in the uk? Return_of_the_STAR wrote: I had never heard of the expanse, it sounds quite good. Who shows it in the uk? Tis on Netflix or at least season 1 and 2 is. Great news about The Expanse. This season has been typically excellent so far. Is S3 of The Expanse not watchable anywhere in the UK? satriales wrote: Is S3 of The Expanse not watchable anywhere in the UK? Won't be watchable in the UK until it comes to Netflix, which took about six months for S2. That could very well be subject to change with the Amazon deal though. It's been an okay season, with a few good players and a worthy winner (although I was rooting for Dom), but it all felt a bit off. The editing especially was really strange and hardly showed some of the players at all. It meant Dom, Wendell, Laurel and Donathon were obviously going to get far, and then when Seabass and Angela are still there near the end it's obvious they aren't final 3. Some of the players this year we're terrible. Laurel was textbook goat, but she had multiple opportunities to make moves and player her own game. Every week she would tell the camera that she's thinking about making her move but then do nothing. So frustrating! Seabass is an idiot. No strategy at all, as he admitted, but to not even use his extra vote when he knew it was worthless afterwards has to be a new level of stupid. At one point I thought we were going to get the underdog story with Angela. Nobody was talking to her but after her eating challenge it looked like she was determined and going to do what it takes to win. That didn't last long and she became irrelevant for the rest of the game, other than to spill everyone's secrets. Dom and Wendell played a good game. I felt like Dom was the big target for the whole game with Chris gunning for him on Day 1), so just getting to the end was impressive, and he always had lots of tricks up his sleeve. Ghost Island was an interesting idea but slightly missed the mark. I like the idea of gambling your vote for an advantage, but not that it's just down to chance. I'd prefer a skill game. The urns being smashed in order made it seem a bit setup by production as to whether that player got to play a game or not. I'd prefer if they always played a game and just reduce the odds of winning so theres still the same number of advantages. The theme for next season looks a bit rubbish, but I have a feeling it will be a good mix of characters. Hopefully a new season of Australian Survivor before then! Ah, I guess I'll have to go pirating then. So pleased to hear The Expanse has found a new home, to echo what others have said, it really is one of the best science fiction series of the past few years and definitely worth watching. Super happy The Expanse is back. Shame it's on strawberry floating Amazon but it's better than nothing. 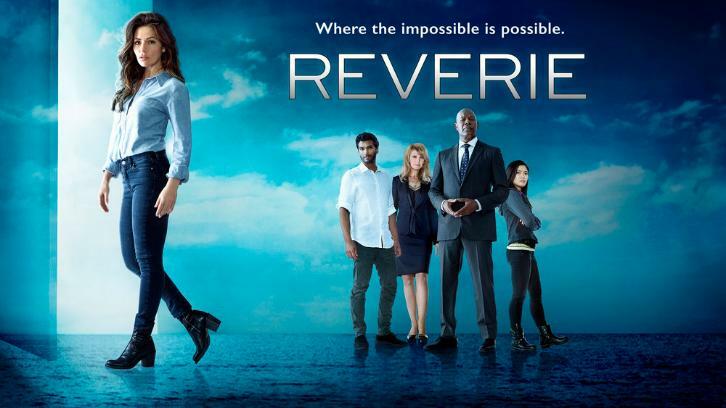 Reverie S01E01, Wednesdays in the US. A former hostage negotiator must save people lost in a virtual-reality program. The Fourth Estate: The First 100 Days S01E01, Sundays in the US. The Break with Michelle Wolf, Sundays on Netflix UK. Monday - Series finales of Trust & Deception. Season finale of Killing Eve. Thursday - Series finale of The Americans.